An anti-fungal nail polish, good for both toenails and fingernails! Just for Toenails (JFT) is the name, but you can use this great product on both toenails and fingernails. It's an advanced nail polish formulation that has O2 permeability which was developed and endorsed by podiatrists to be used to improve the appearance of toenails and fingernails. The formula is now "7-free", made without: toluene, formaldehyde, formaldehyde resin, dibutyl phthalate, camphor, parabens, and xylene. Just For Toenails is the world's first additive nail polish with tea tree oil ( Melaleuca alternifolia ), a natural proven antifungal/antiseptic. This is the first product to address treatment of fungal nails and toenails and provides a natural antiseptic with a luscious gloss to toenails and fingernails which can kill toenail fungus and finger nail fungus. Tea tree oil, added to the polish, has been shown to kill many types of fungal and bacterial organisms. Just For Toenails has new adhesive properties to last for weeks, keeping the anti-fungal polish on your nails. 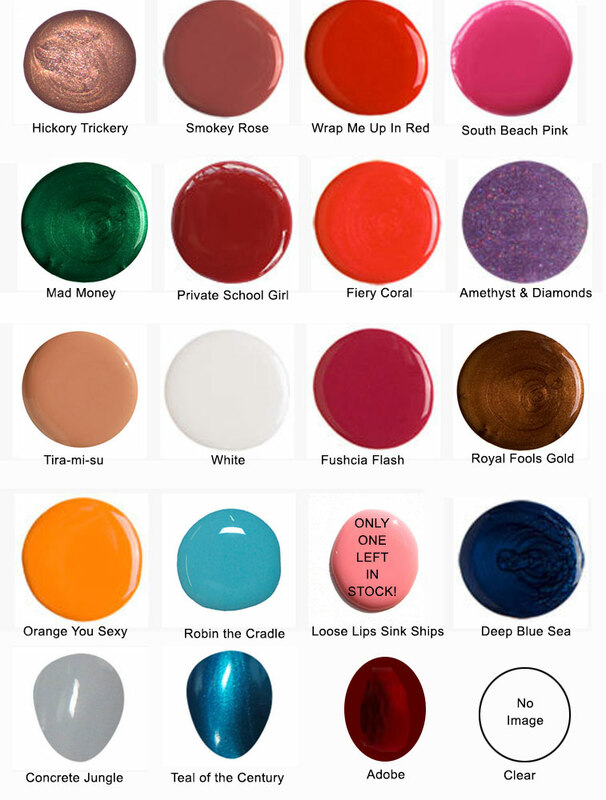 Just For Toenails is available in 15 colors, and also a clear top coat. NOTE: Just For Toenails is not a substitute for prescription antifungal products that only your doctor can provide. Tea tree oil ( Melaleuca alternifolia ) added to the polish is a proven natural anti-fungal and antiseptic. First nail polish ever specifically formulated for fungal nails. Invented by podiatrists for the general public. Can be use on fungal nails (fingers and toes) to improve appearance. Can be used on fingernails and toenails for exceptional luster. Now a nail polish to make you nails beautiful.